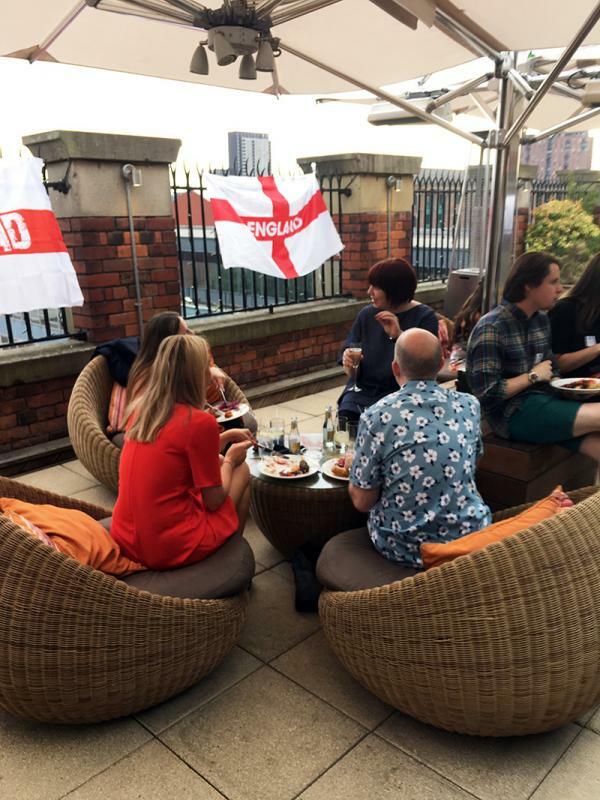 On Wednesday 11th July The BCFA held our Summer BBQ at the stunning Great John Street Hotel, Manchester. This original Victorian school house has been transformed into a luxury townhouse hotel by the Eclectic Hotels group with unique, individually designed bedrooms and suites including the southfacing Rooftop Lounge and Playground where the BCFA held their networking event. If you remember 11th July was also a very important night for England as we had reached the semi-finals of the World Cup. This unfortunate scheduling mishap couldn’t be helped as the BCFA’s events are booked months in advance. Undaunted, they booked a projector, drop down screen, an additional TV and brought along their England supporters flags! 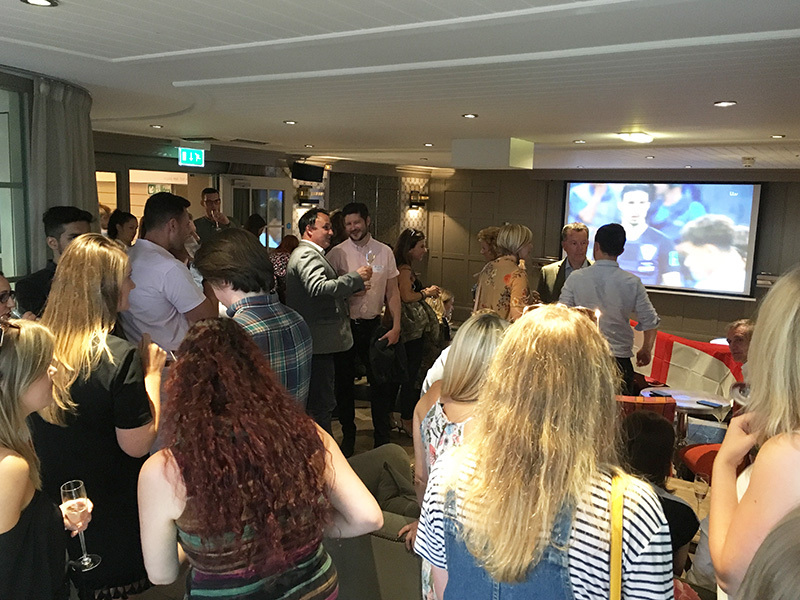 Despite the timing clash there was a great turnout and an amazing atmosphere as everyone got behind England as the match played out. BCFA members and their guests enjoyed the heady atmosphere and were buoyed on by the great food. The only down side was England failing to progress to the final! 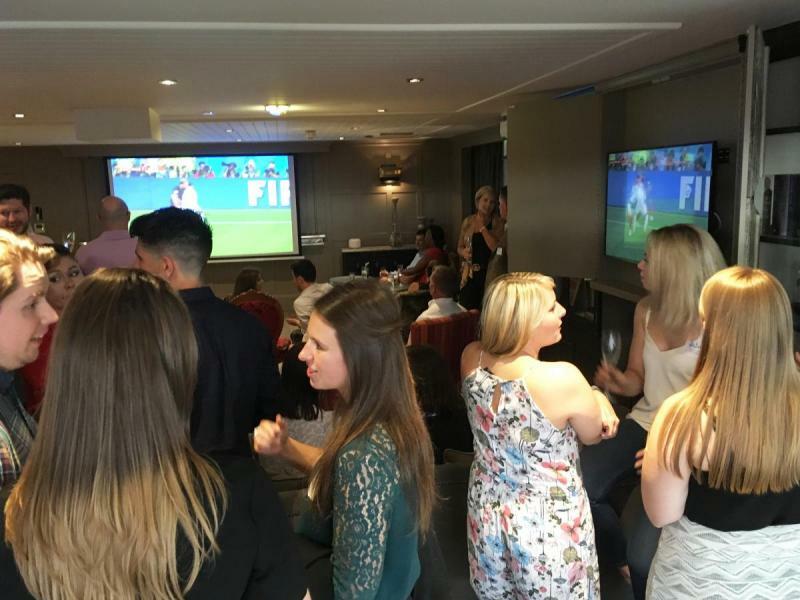 The BCFA had some lovely feedback from members and guests who had a thoroughly enjoyable evening networking and bonding over the game at such a stunning and welcoming venue.